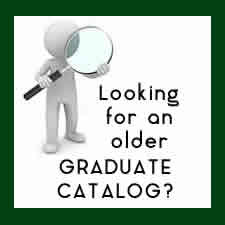 The University of North Carolina at Charlotte Graduate Catalog (hereby referred to as the “Catalog”) is the official source of the University’s academic programs and courses. The Catalog should be used as a guide, in conjuction with an academic advisor, in planning a course of study and in meeting requirements for graduation. The Catalog is published annually in the Spring for the following academic year, which begins in the Fall. Although course offerings and academic requirements at UNC Charlotte are continually under examination and revision, the Undergraduate Catalog is updated only once per year. This annual revision procedure helps ensure that users of the Catalog will not find unexpected changes during their academic planning processes. The UNC Charlotte Graduate Catalog is not an irrevocable contract. Regulations published in it are subject to change by the University at any time without notice. University regulations are policy statements to guide students, faculty, and administrative officers in achieving the goals of the institution. Necessary interpretations of these policies will be made by the appropriate authorities with the interest of the students and the institution in mind. Students are encouraged to consult an advisor if they have questions about the application of any policy. The University reserves the right to change any of the rules and regulations of the University at any time, including those relating to admission, instruction, and graduation. The University also reserves the right to withdraw curricula and specific courses, alter course content, change the calendar, and to impose or increase fees. All such changes are effective as proper authorities determine and may apply not only to prospective students, but also to those who are already enrolled in the University. The requirements specified in this Catalog apply to students who commence their studies at UNC Charlotte during the 2018-2019 academic year and who remain in continuous enrollment at the institution until they graduate. If requirements are changed, students may elect to comply with the new requirements or to remain under the requirements by which they are governed at the time of the change. The choice to apply the new requirements must be declared by students at least one semester prior to graduation through their academic departments. STUDENTS UNSURE OF WHICH CATALOG TO USE SHOULD CONSULT WITH THEIR ADVISOR. Students who change their major/minor are bound by the requirements of their new major/minor that are in effect the semester they officially begin studies in the new program. Students who are readmitted to the University are bound by the program and degree requirements in force at the time of readmission. Exceptions to these policies may be necessitated by changes in course offerings, degree programs, or by action of authorities higher than the University. In that event, every effort will be made to avoid penalizing the student. Each student is responsible for the proper completion of his or her academic program, for familiarity with the Catalog, for maintaining the grade point average required, and for meeting all other degree requirements. Students assume academic and financial responsibility for the courses in which they enroll and are relieved of these responsibilities only by formally terminating enrollment. The advisor will counsel, but the final responsibility remains that of the student. A student is required to have knowledge of and observe all regulations pertaining to campus life and student behavior. Students are encouraged to familiarize themselves with academic terminology located in the Glossary section of this Catalog. Email is the official form of communication at the University; each student is responsible for checking their uncc.edu email regularly, as well as maintaining communication with the University and keeping a current address and telephone number on file with the Office of the Registrar. While associated with the University, each student is expected to participate in campus and community life in a manner that will reflect credibly upon the student and the University. 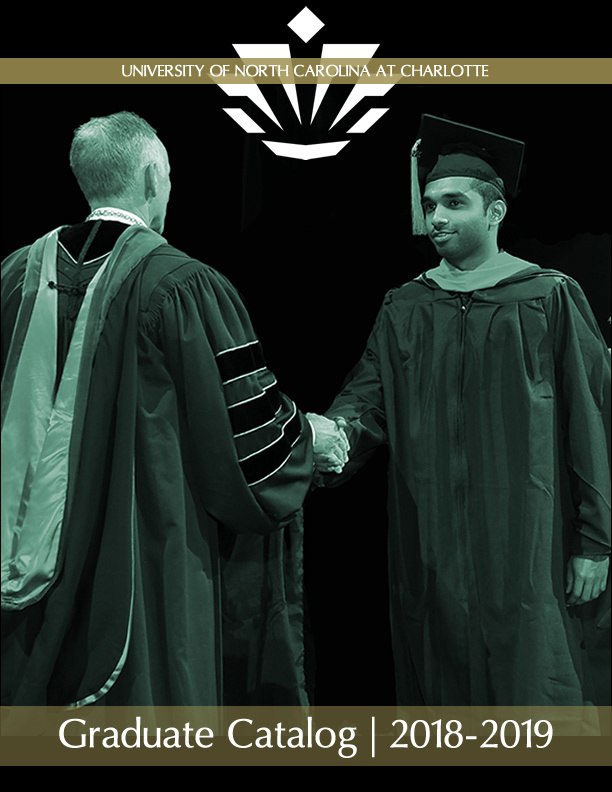 The University has enacted two codes of student responsibility –The UNC Charlotte Code of Student Academic Integrity and The UNC Charlotte Code of Student Responsibility – which are summarized in this Catalog and available in full online at legal.uncc.edu/policies/chapter-400. As students willingly accept the benefits of membership in the UNC Charlotte academic community, they acquire obligations to observe and uphold the principles and standards that define the terms of UNC Charlotte community cooperation and make those benefits possible. This includes completion of institutional surveys as requested by the University for program assessment and improvement. Save your most used pages to the My Favorites link at the bottom of the left navigation pane. After creating an account, you may add courses, programs, etc. to your favorites by selecting the star icon located on the top right of the page. Includes additional information about how to use this Acalog catalog.